Not all forex charts you look at are going to be shown in the same way – this can be extremely detrimental to our trading systems and produce false signals. The majority of the popular and available Forex brokers are not suitable for our trading system or any professional trader who uses price action. If you’re a serious trader, you must be sure you have forex charts that open and close in true alignment with the New York trading session. What Does New York Close Mean? New York close charts mean that the trading days ends at 4:59p.m. Eastern Time and the new day begins at 5 p.m. Eastern Time. This is when the stock market closes for the day as well. This is when the new daily candle starts and the previous candle ends. Since New York doesn’t open up until Monday, there are only five candles per week on a daily chart. If you have six candles per week, know right away that it is not a New York close chart. 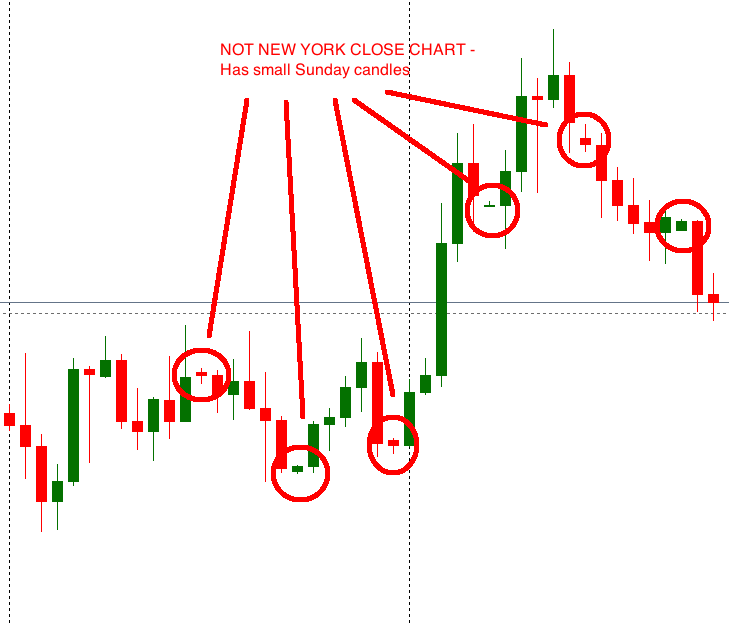 Why Do You Need New York Close Charts? Closing prices are the most important for any market because it’s a reflection of who won the battle between the bulls and bears for the session. Our trading systems closely watch the close prices and take trades only after the candle closes. If you want the same trades as us, you’ll need a broker with New York close charts. 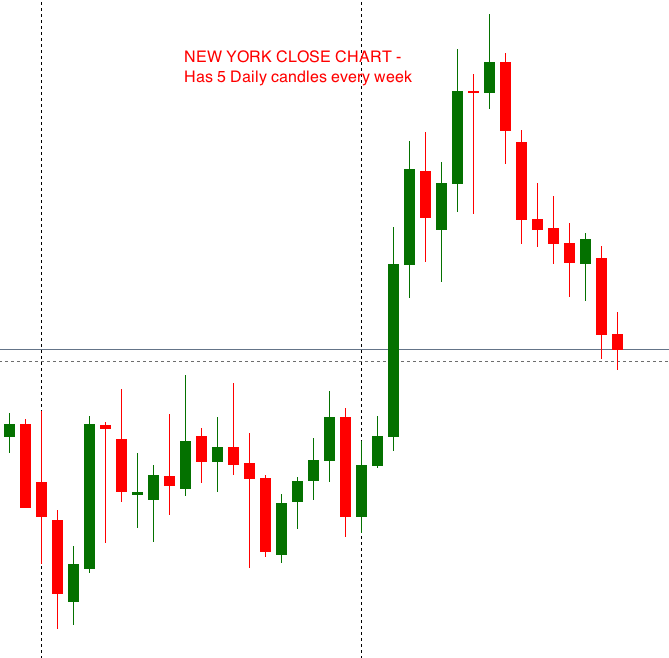 Where Can You Get New York Close Charts? We work closely with these brokers who offer the correct 5 PM New York close five-day charts.